Looking for a Pentax 18-55mm lens part! 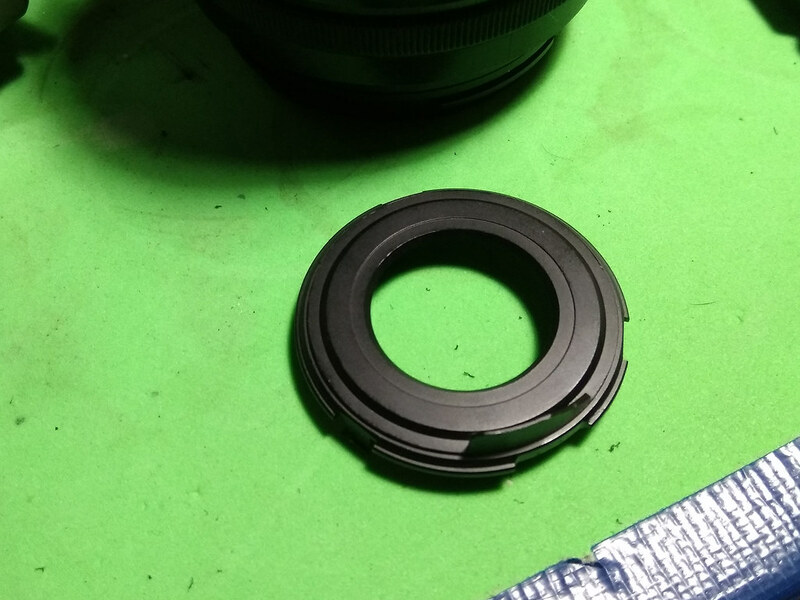 I need the dust bezel for the mount on a SMC Pentax DAL 18-55mm kit lens. The rest of the lens can be totally trashed, I only need the dust bezel from the mount. I have a White Stormtrooper K-30 and would like to repair the companion white kit lens that came with it. You would think such a small, insignificant part would be easy to find, but none of the regular camera repair outlets or Ricoh Corp. will even discuss the matter with me! Anyway, if any of you can help, I'd be most grateful. Re: Looking for a Pentax 18-55mm lens part! 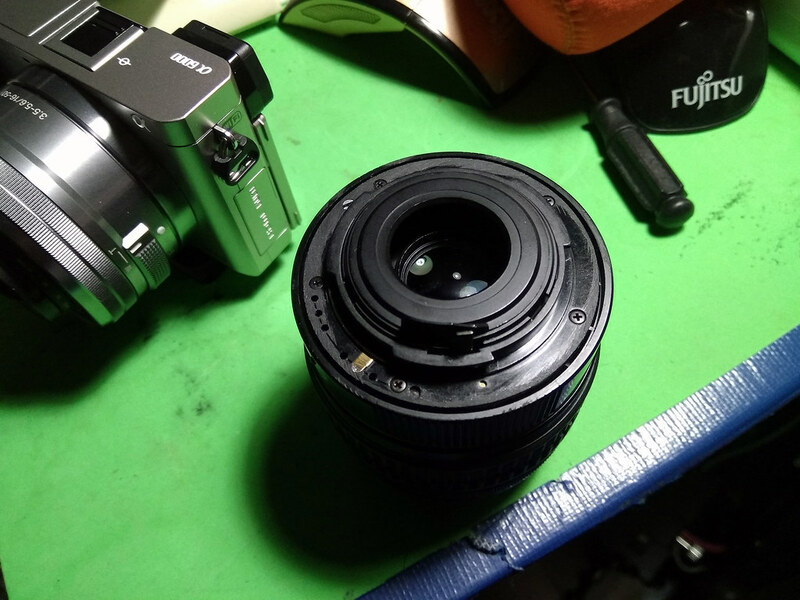 I wonder if you should consider looking at the used / requiring repair ads in eBay and / or Craigslist for another 18-55 lens to strip for parts? It is the cover that goes inside the locking lugs on the mount. It's to keep dust out of the inner works of the lens. As you can see, it's missing on this lens. Yep, tried that with no luck so far. So, I figured I'd cover all the bases just in case someone here might happen to have an old, trashed lens I could harvest a dust bezel from. no idea if i still have one left lying around as i have disassembled 1 18-55 kit lens to remove the thin metal strip spacer underneath the mount.. turns out those electronic pins are way too difficult to return once removed.. anyway that lens stayed disassembled not sure however where i put it. will be glad to send it to you if i can find it later when i return home in a couple of hours. I would be eternally grateful! Thanks for your generosity and kindness. No.... I have four of those lenses. I need only the dust bezel for the mount. It's a small, plastic "ring" that closed off the opening into the lens body, thus the "dust bezel" moniker. he is referring to what is commonly called as a rear lens baffle.. i normally remove mine on my apsc lenses so that i could use it on full frame bodies..